I was diagnosed with Primary Aldosteronism (Conn’s) and Subclinical Cushing’s Syndrome (SCS) by NIH (Protocol 00-CH-0160) 2 years ago. Being retired I I have a lot of time to research the two conditions. (about 7000 hours). I have spent many hours on a hyperaldosteronism support group and now am looking to further my knowledge of excess/abnormal cortisol and particularly how it might be affecting my brain. 18 months ago I underwent an adrenalectomy (L) for a benign mass. My cortisol levels were slightly elevated, all tests suggested sub clinical cushings. Before the surgery I felt great, no symptoms other than easy bruising, bleeding gums and mild hypertention. In fact, the reason I went to an endocrinologist was because I thought i had a hypothyroid issue and my fasting blood glucose was always around 110. 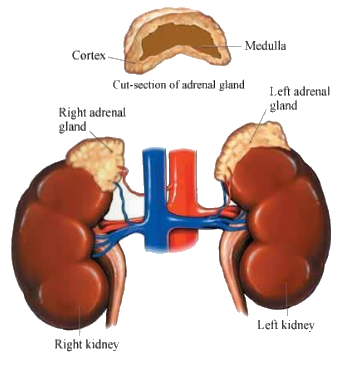 The adrenal mass was an incidentaloma during a scan of my pancreas/abdomen. During the surgery I suffered a positioning injury to my shoulder, arm, and hand. Permanent nerve damage and horribly painful to this day. My initial post op replacement dose of cortisone was 10mg twice a day even though the surgeon and my endo were quite aware of my injuries. I felt like I was dying. Short of breath, chest pain, no sleep ever to this day. Finally after 6 months a doctor at the hospital were I worked as an RN took over and directed me to pain management and ordered MRIs. Torn muscles, bursitis, tendonitis carpal tunnel and ulnar nerve entrapement etc….Since then i have had to change endos because mine has become rude and my appointments brief. I make 0.5 cortisol, nothing. I am still on disability and will be terminated permenently in September. Every morning I lie there writhing in pain, short of breath, crying. I am so lethargic once I force myself up I bump into things. Some days I can’t get up at all. All pain management wants to do is inject steroids. I have had 3 nreve blocks and a spinal stimulator trial which did more harm than good. I KNOW I am in steroid withdrawl but what do I do now? It’s been 18 months and I can’t find an endo who will pay any attention to me…………….I also believe I still have a thyroid problem. My levels are ‘borderline’ just like my cortisol was but the symptoms are all there and very obvious. Plus my cholesterol ,untreated, is 295. I don’t eat junk at all. never did. My meds are Hyzaar, lipitor, neurontin, calcium, prozac,and 10mg of cortisone a day. I ditched the vitamin d3 because they only check my D-25 not 1-25 D and I am afraid of having dysregulated Vit D metabolisn which increases inflammation…..